2)	Identify lessons learned and best practices from the OWG experience to inform enhanced modalities* for civil society participation in the High Level Political Forum (HLPF). The survey should take 10 minutes to complete. It will remain open until Aug 12. 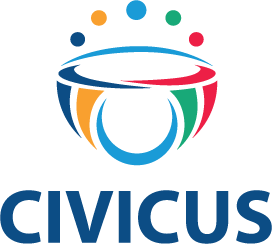 Contact Freya Seath of CIVICUS at freya.seath@civicus.org with any questions. * What are enhanced modalities? General Assembly Resolution A/RES/67/290 OP 14 spoke of "enhancing the consultative role and participation of the major groups and other relevant stakeholders at the international level in order to make better use of their expertise, while retaining the intergovernmental nature of discussions." Participation was to be "open to the major groups, other relevant stakeholders and entities having received a standing invitation to participate as observers in the General Assembly, building on arrangements and practices observed by the Commission on Sustainable Development."